Most couples experience a “honeymoon phase” with their relationship. The beginning phase of getting to know one another and spending every waking moment together, it can be quite an exhilarating way to begin a relationship. But what happens when complacency sets in and suddenly time together isn’t as exciting or anticipatory? Is this normal? Couples go through many different phases in a relationship. Some can be considered red flags while others are just a normal progression for a healthy relationship. For instance, the longer you are with a person, the more comfortable you become with silence. The need to fill every gap in conversation with something meaningful dissipates and comfort in silence develops. But this doesn’t mean you should run out of things to talk about, either. You may be less frisky together, but a deeper level of shared intimacy develops. You may not bring flowers or do surprise lunch dates very often, but you show your love in less overt but equally meaningful ways. These are all healthy and normal changes as you move from new love to a long-term relationship. What is a Red Flag, and What is Normal? When you are first dating, you want to spend every waking second together, bending schedules and cancelling plans with other people just to see each other. As the relationship gets longer, you may notice that your partner chooses to spend less and less time with you. Is this something to be concerned about, or is it normal? This can happen slowly over time or be a sudden change in behaviour. Instead of your regular dinners together, your partner sends you a casual message saying “sorry I have to work late again.” Receiving this message two or three times a week can start to raise some suspicions and possibly leave unanswered questions on the table. Or perhaps your partner has chosen to spend most of their free time with their friends and you feel left out. Although it is entirely possible that nothing untoward is going on, once the seed of doubt is planted in the mind it can be tricky to uproot and convince yourself otherwise. Doubt can be a dangerous thing if left unaddressed. It is enough to tear apart a perfectly healthy relationship and cause paranoia to flood your emotions. If you feel like your partner is doing everything in their power to spend time away from you, try to address the situation with them. It is possible that your partner isn’t aware that they are causing you to feel shut out of the relationship, or perhaps they have their own reasons for wishing to spend time away from you either with friends or at work. If you are the partner that is feeling left alone, you may feel hurt and rejected and may want to express this in an angry tone. Instead, take a step back and express the vulnerable feelings you are having. Your partner is more likely to hear and be receptive to this approach than your angry tone. 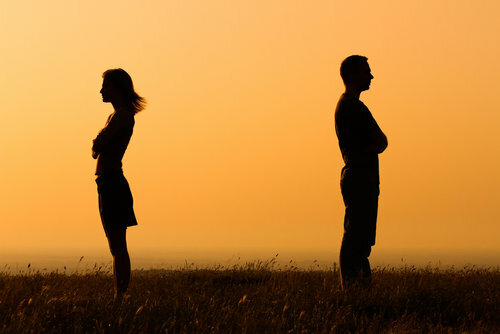 If you are the partner who is spending time away from your partner, you may initially get defensive and may feel that your freedom is being hindered in some way. Take a step back and try to hear that your partner misses you. Take stock in that your partner is trying to pull you towards them and note that it would be a red flag in your relationship if you partner did not care where you were. You may long for those playful, ravenous early days, but there is also beauty in the deep bonds of a long-term relationship. Find ways to recapture some of that early magic, whether it’s a spontaneous trip, quick lunch date, or romantic night out. At the same time, work together to keep strengthening, nurturing, and developing the deeper aspects of your relationship that new couples don’t yet have. Sometimes having the outside perspective of a relationship therapist is helpful in determining what the real problems are and how to fix them together. Do not let doubt slowly eat away at your relationship. Work hard to keep your communication channels open and do not shy away from outside help where it could prove to be helpful.